Response: Clay Co. prosecutor Lee Reberger responds to question from the media during a press conference at the Clay Co. jail Wednesday afternoon. 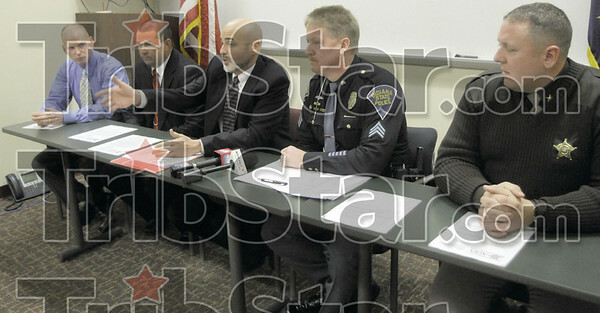 At left are Indiana State Police detectives Chris Carter and Sam Stearley, (Reberger), ISP public information officer Sgt. Joe Watts and Clay Co. Sheriff Mike Heaton.